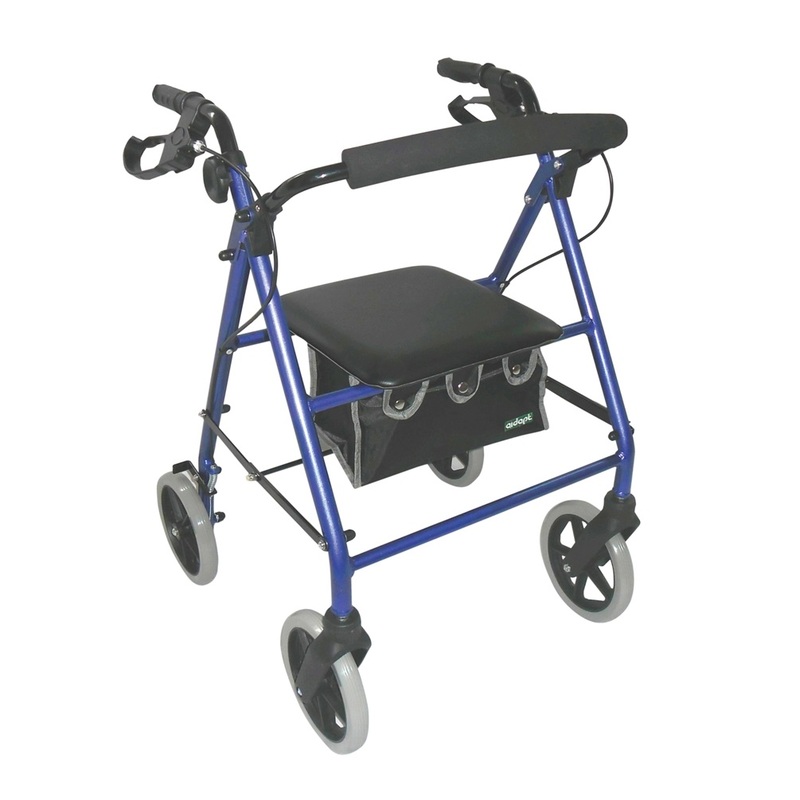 This is our most popular four wheel rollator. Durable aluminium frame that is easy to fold and store even when bag is attached. Calliper brakes that can be locked for stability. Large, comfortable padded seat with zipped pocket. Foam covered curved backrest for extra comfort and shopping bag that fits under the seat. Excellent product, sturdy and easy to assemble with clear instructions. Arrived promptly and securely packaged. 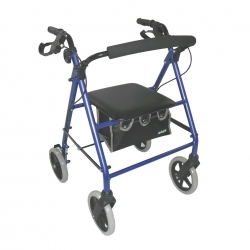 Unfortunately a red rollator arrived instead of the blue one on order, however, my mother said she loved the colour so all was well.